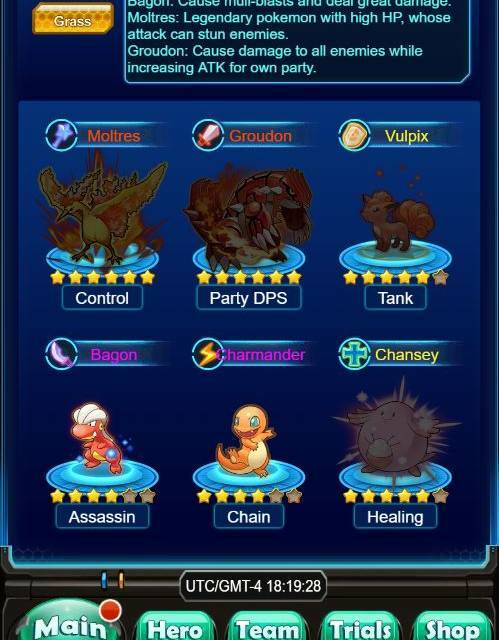 Browser-based Anime MMORPG - Catch them all, and then beat them all in this unofficial Pokemon Adventure MMO that lets you explore the Pokemon world with fun features that the originals doesn't offer. Pokemon Mega is an unofficial Pokemon RPG adventure game that is inspired by the classic series from Nintendo's legendary franchise. The gamplay includes familiar systems from the originals, but adds plenty of good ideas like open world PvP, a gear system and more to make it different from the paid games. 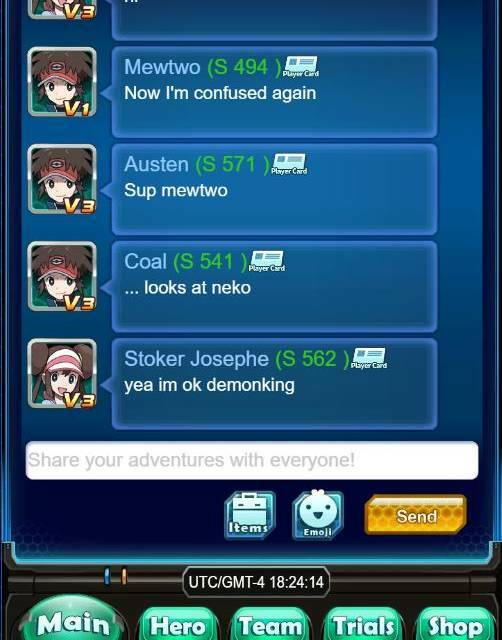 Pokemon Mega also functions like a proper browser MMO with world chat, guild functionality and PvP tournaments. The graphics and art style are for the most part authentic, but the game changes quite a few things about the Pokemon such as altering base types and attacks. For a free to play game with a cash shop, the game can be fun but it takes a while to overcome to autonomy of the early game levels. Pokemon Mega is an unofficial Pokemon browser MMO, which simply means the game and its assets are not licensed by Nintendo and that's rather interesting, since the company is pretty strict about knockoffs and imitations when it comes to their games. 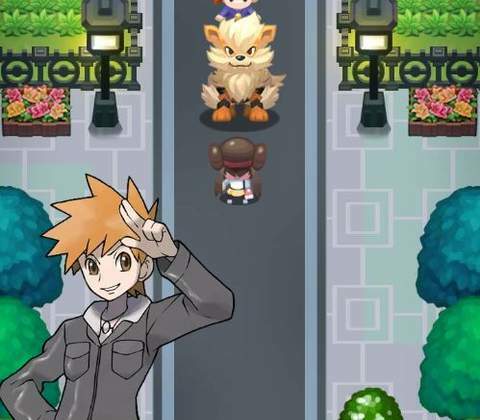 For Pokemon Mega though, the lack of any legal action hasn't stopped them from putting out this adventure game, which in parts are decent while in others are cringeworthy. 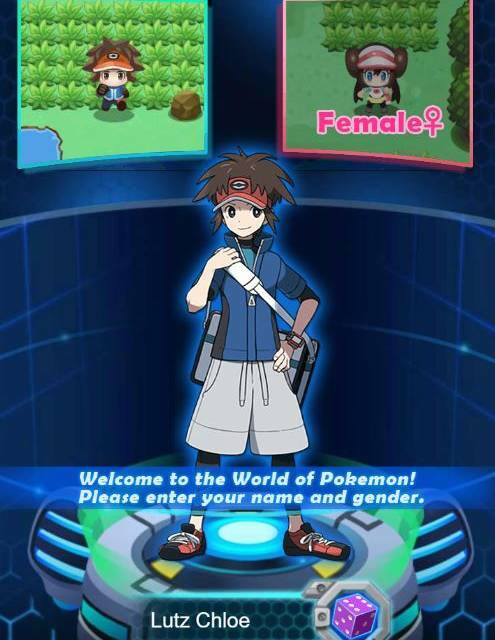 The game can be played on your browser for free, and character creation simply involves picking a gender and a name, which is simple enough. Players can then choose which server to play on and the good news is that there are a lot of servers, as the player population is very high at the moment. This will be important later as Pokemon Mega has social features and functions later on that benefits from an active server. 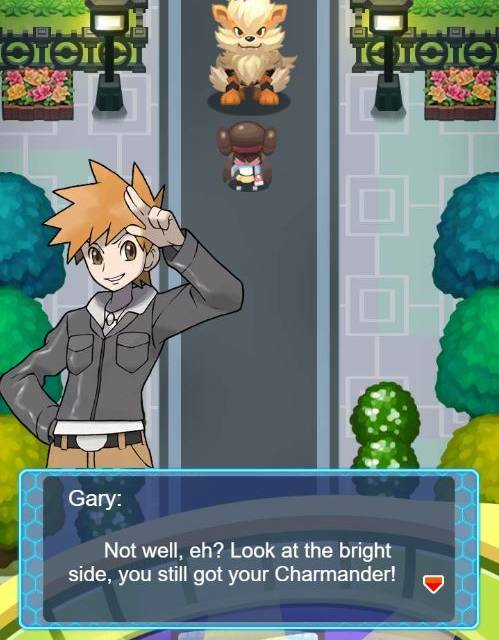 Once in-game, Pokemon Mega shows off its story and players assume the role of a Gym Trainer who gets beaten by Ash Ketchum in a tournament final. That's how your story starts, and you begin again from scratch hoping to get revenge some day. It's a simple premise that leads into the game's first of many long tutorials. 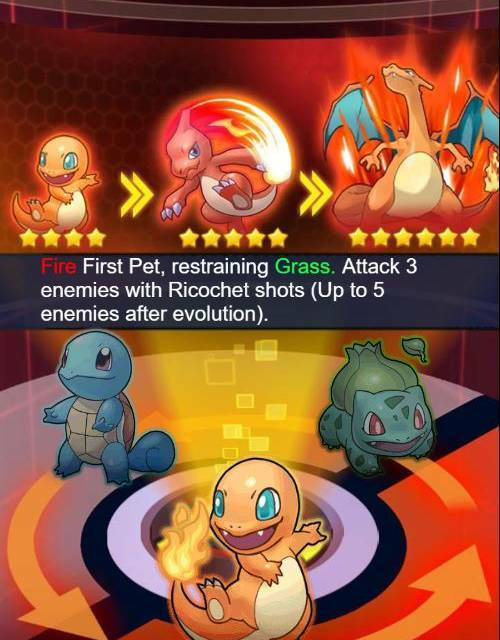 Players get to pick from one of the three fan-favorite starter Pokemon - Charmander, Bulbasaur or Squirtle. From there, it's all about gaining levels and experience which is something the original games never utilized. Your character starts moving around the starter area by themselves, and you won't be doing much except clicking buttons on the UI to level them up, gear them and use items. This can be frustrating especially when fighting bosses or wild Pokemon on the landscape since Pokemon is all about picking and choosing skills, but it does get better the more you play. 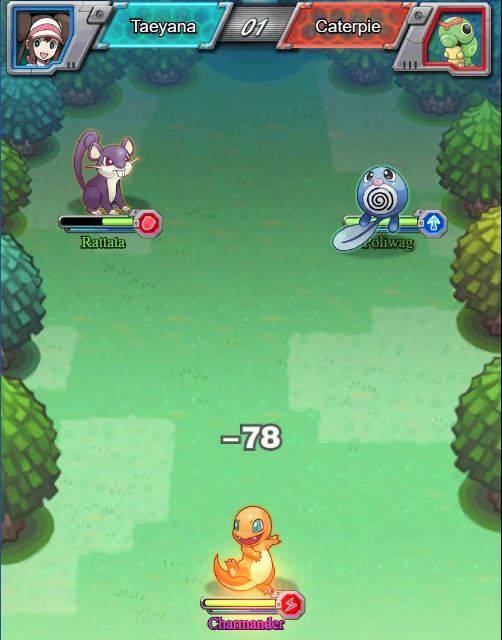 Idle-gameplay aside, combat is turn-based and automated in the world when you are hunting for Pokemon to catch, which is when things become a lot more interesting. It must be said however, difficulty of fights aren't too challenging and you will almost always win contests if you're on level with the zone. Fighting other players in PvP on the other hand, can be imbalanced and offer more of a challenge. Combat happens when you click the big Battle Button on the screen, and enemies are automatically generated for you. One cool feature though is the ability to teleport to another region like Kanto to Johto, which again is a feature that does not exist in the original games. Leveling is a big part of Pokemon Mega and the tutorial does a good job at showing you how things progress. 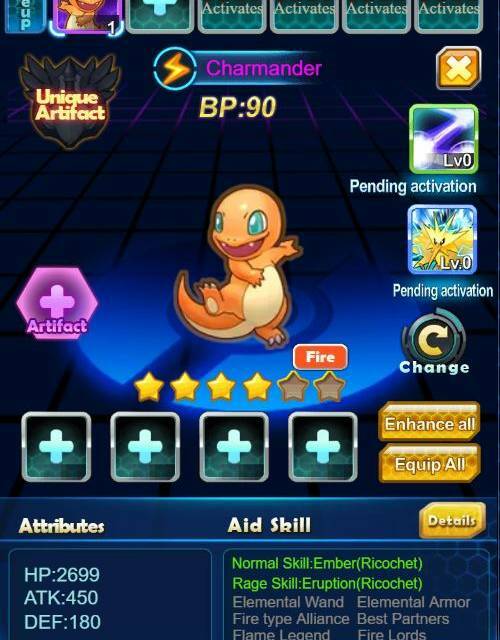 Manually fighting other players or AI bosses offers good XP, items and even gear which your Pokemon roster will need in order increase BP (Battle Points), which is your combat rating that gauges how powerful you are for the content. Catching Pokemon and growing them to evolve is the biggest progression mechanic in the game, as is with any other Pokemon game. Using the explore feature, you get to head out on to a separate map where wild Pokemon appear randomly at the mercy of the RNG, before you attack them to lower their HP. Once in the red, you simply throw a Poke Ball of your choice just like old times and the docile creature will now join your roster. Pokemon in Mega are different in the sense that they are now categorized by archetypes too, so you have DPS, Healing and Tank Pokemon so building a good roster will be key for success later on. Evolving and gearing your Pokemon is another important system that is easy to accomplish by simply playing the game. 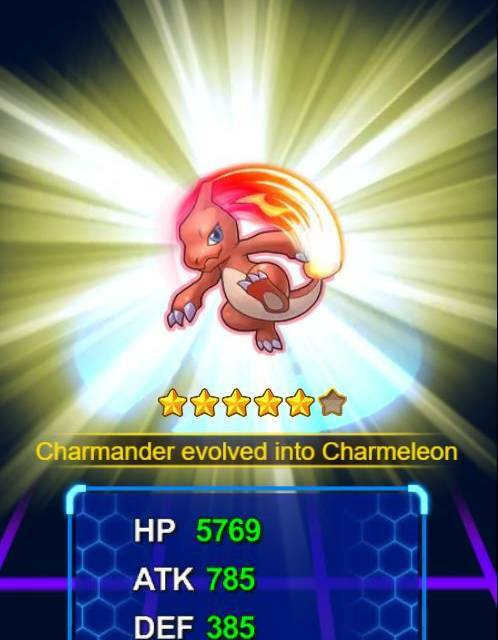 Every time your character levels up, so does your Pokemon and all you need to do is hit the auto level up button to start increasing their stats. This takes gold and items which are earned through battles. 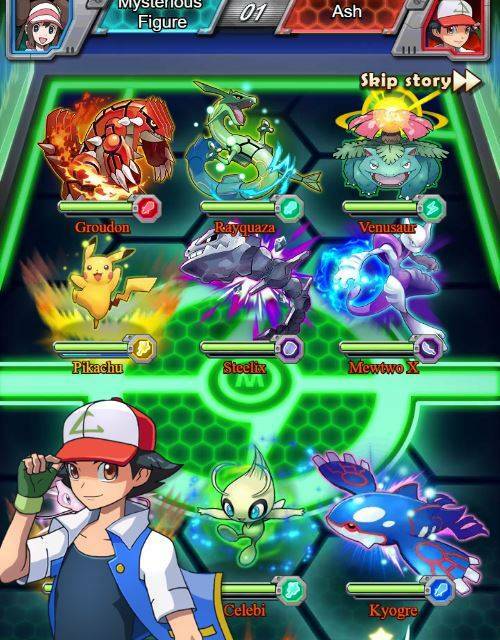 Evolution works the same way, but takes more resources so it's always a good idea to battle as much as you can. It's a simple system, but simple works just fine especially for a browser game. Pokemon in Mega are different in the sense that they are now categorized by archetypes too, so you have DPS, Healing and Tank Pokemon so building a good roster will be key for success later on. Where the game really makes its mark and attracts players is with the amount and type of content available. 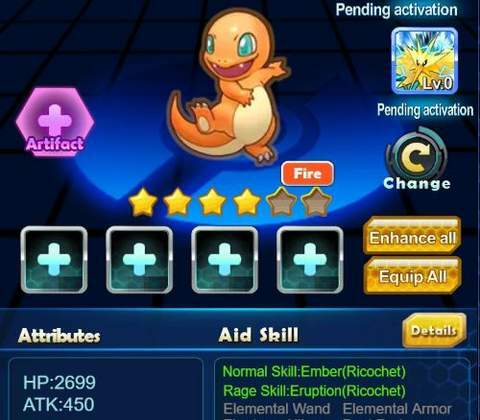 For PvE, Pokemon Mega adds in some clever content like dungeon crawling and mazes which rewards you with currency to buy items, gear to increase BP and stones to help your Pokemon evolve. All of these will be handy down the line, and some of the content has a daily limit to make sure you come back every day and keep playing the game. PvP is another stand out feature, as you can challenge just about any other player you come across on the map, or via the tournament functions. These are quite fun if you find someone with BP close to yours, otherwise it will be a definite heavy defeat. Regardless, tournaments are good fun at higher levels and they embody the true spirit of the Pokemon games - being the best with your lineup of chosen companions. Being competitive yields better rewards, access to rare Pokemon and even a spot on the server Rankings board, which is nice. 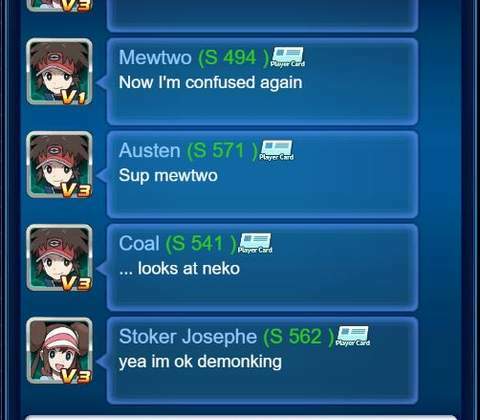 What makes Pokemon Mega feel like a proper Pokemon MMO is the social features available in the game. There's a fully functioning Guild system that groups like minded players together to socialize or tackle some of the content. Even better yet, the game does have a world chat box which in comparison none of Nintendo's official Pokemon games offer, not even Niantic Labs's Pokemon Go. This gives the game some life and it's accentuated by the amount of active servers the game has at the moment. Is Pokemon Mega Worth Playing? In conclusion, Pokemon Mega offers some good gameplay at later levels that makes the journey there somewhat worthwhile. Even better yet, the free to play model is attractive and accessible for Pokemon fans everywhere, which means the game is quite populated. The negatives however, are the barriers of entry to the fun features that are locked behind higher levels. So you must endure 26 or so levels of idle gameplay before a lot of the group and PvP functions becomes available. 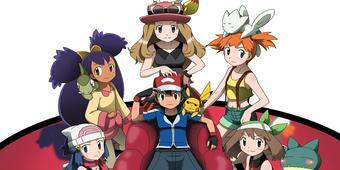 Overall, Pokemon Mega is a good tribute to the genre and it makes for a decent browser MMO. However, don't be too surprised if Nintendo finds out about this game the more it grows, and decides to shut it down. Play it now while you can. Ready to enter the world of Pokemon Mega? Click here to play now! 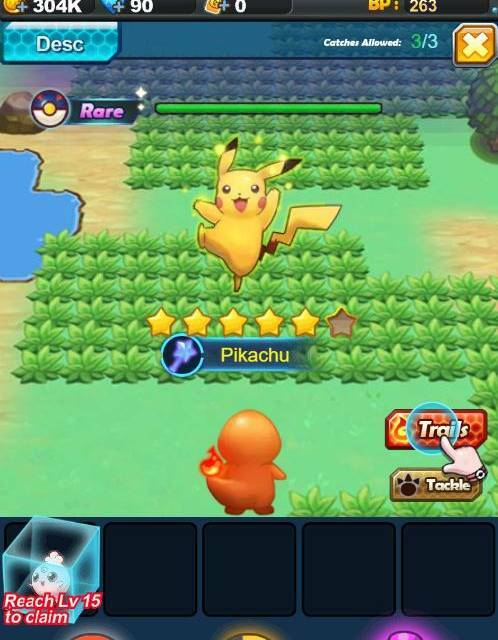 Pokemon Mega adds a few much needed features like open world PvP, dungeons and social aspects to accommodate the MMO crowd which the original Nintendo games never did.